New low-cost tool for Sitara AM437x processors is now available! The new Sitara AM437x Starter Kit is now available for order entry. We have plenty of inventory so place your order and it will ship immediately. 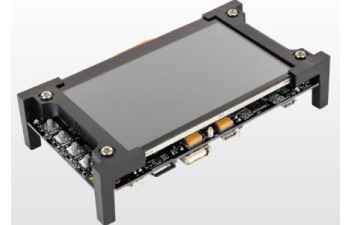 The AM437x Starter Kit features a 1GHz AM4378 processor; dual Gb Ethernet port; 4.3" capacitive touch screen LCD; on board camera module; 64 MB QSPI-NOR flash; and more. The AM437x Starter Kit is only $249 so it's the fastest, most economical way of getting started with the AM437x processors. Go to http://www.ti.com/tool/TMDXSK437X to check it out!